One thing that nagged me was that the Individual Computers AGA MK2cr flickerfixer's DVI plug just dangled out of a hole in the back of the Amiga 1200. Thanks to 3D printing, I was able to fix that problem today. 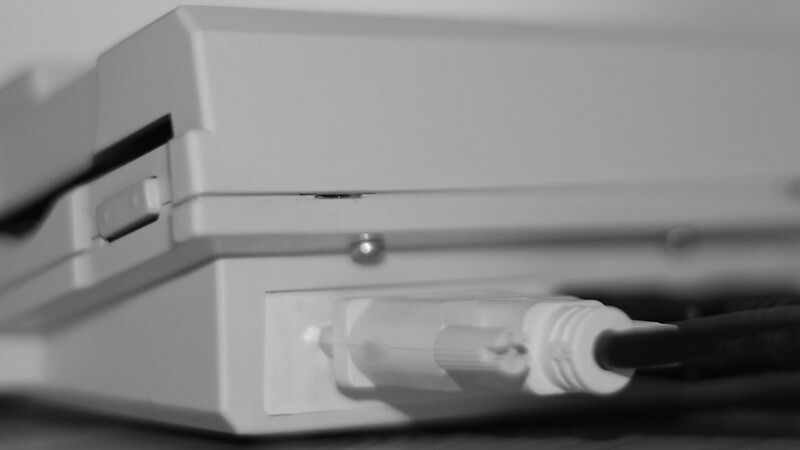 A couple of days ago I found a design for an Amiga 1200 DVI Backdoor Plate on the YouMagine 3D printing community. Using the 3D Hubs community I found somebody with a 3D printer about 10 kilometers away from where I live who would print the design for me. The plate arrived today and fits perfectly.